The closet organizers from 31-W Insulation can transform the cluttered, chaotic areas of your home into orderly spaces. Unlike other closet systems, ours are completely custom made and can be designed to perfectly accommodate just about any use. 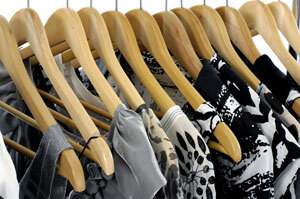 For instance, adding an organizer to your bedroom closet can keep your wardrobe tidy so getting dressed is a cinch. Likewise, installing an organizer in your kitchen pantry can provide a dedicated space for every ingredient so cooking is a breeze. No matter which rooms you need to tidy up in your San Antonio, Texas, home, you can count on the professionals at 31-W Insulation to help you design closet organizers that fit the bill. We’ve provided home remodeling services since 1972, and our decades’ worth of experience has affirmed our passion for using only the absolute best materials available. To this end, we proudly offer closet organizers from ClosetMaid, one of the industry’s most trusted brands. With ClosetMaid organizers, you can be confident that your closet shelving systems will stand up to wear and tear and beautifully complement your home’s décor. You’ll have your choice of wire or wood/laminate components in a multitude of colors/finishes, so you can create organizers that perfectly suit your aesthetic preferences. If you’d like more information about the closet organizers we install in San Antonio, TX, and surrounding areas, contact 31-W Insulation today and schedule a complimentary consultation. Be sure to ask about our other home improvement services, including the installation of stone siding, fireplaces, attic insulation, and more.